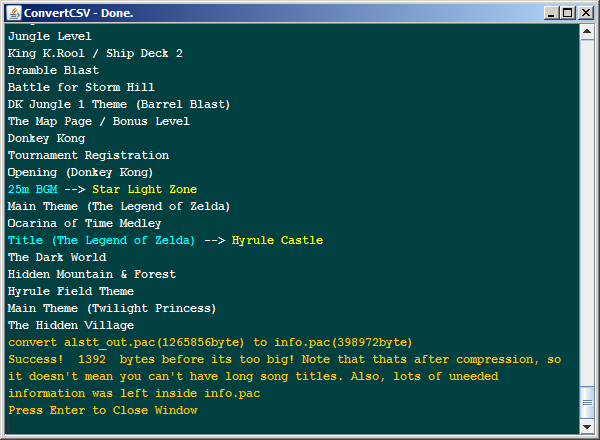 ConvertCSV is basically a wrapper around Dantarion's Any Length Song Title Tool. It's written in Java, and it generates a songs.db for ALSTT based on a music.csv file and an array of default songs stored within the code. 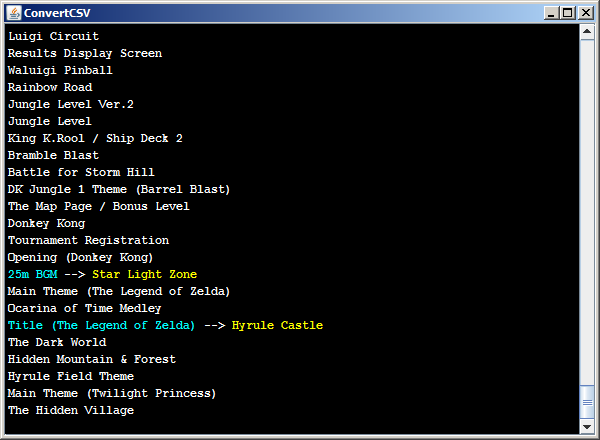 Then it runs ALSTT in the console. With the included "example" Excel spreadsheet, you can enter all your music in spreadsheet form and then follow a few simple steps (included in the spreadsheet) to output it in a form that ConvertCSV can read.